USGS PHOTO: Scientists (in orange flight suits) hike toward one of HVO's monitoring stations within Kīlauea caldera. 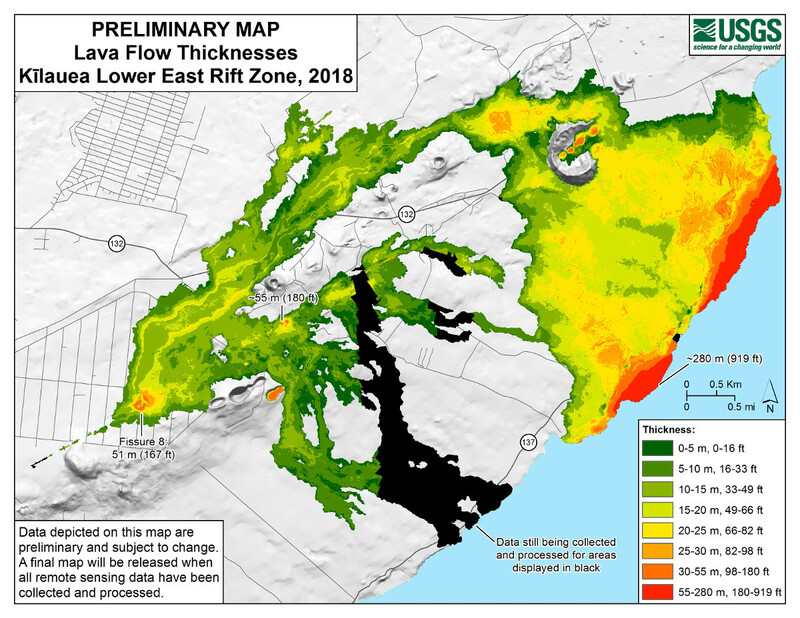 HAWAIʻI ISLAND - The USGS Hawaiian Volcano Observatory this week writes about resolving issues in completing a recently published lava flow thickness map on the lower East Rift Zone. (BIVN) – Scientists continue their work studying Kῑlauea, while the volcano is not erupting and its USGS Volcano Alert level remains at NORMAL. Rates of seismicity, deformation, and gas release have not changed significantly over the past week. 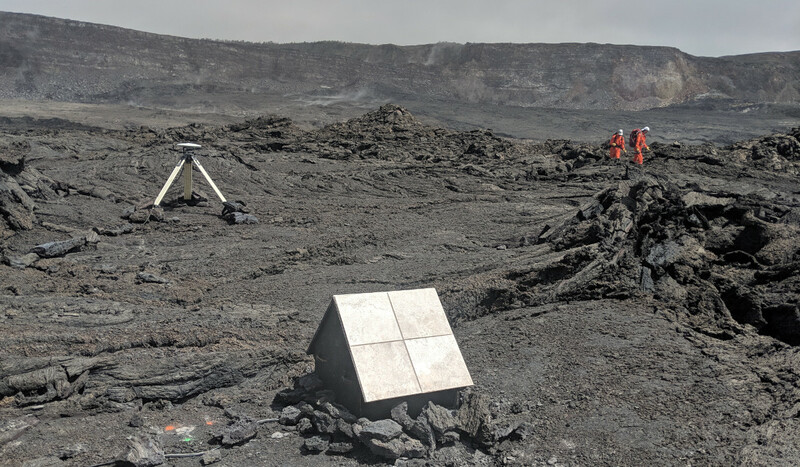 The USGS Hawaiian Volcano Observatory is using instruments like GPS antennae and gravimeters to measure changes in deformation and in subsurface mass at the Kīlauea summit over time. Meanwhile, scientists are still collecting data on the lower East Rift Zone, where a recent ground control survey helped to finalize a USGS lava thickness map. (USGS) Data depicted on this preliminary map of Kīlauea lower East Rift Zone lava flow thicknesses are subject to change. A final map will be released when all remote sensing data have been collected and processed. Second, the DEM made from the UAS images required better “geolocation” – real-world geographic placement. 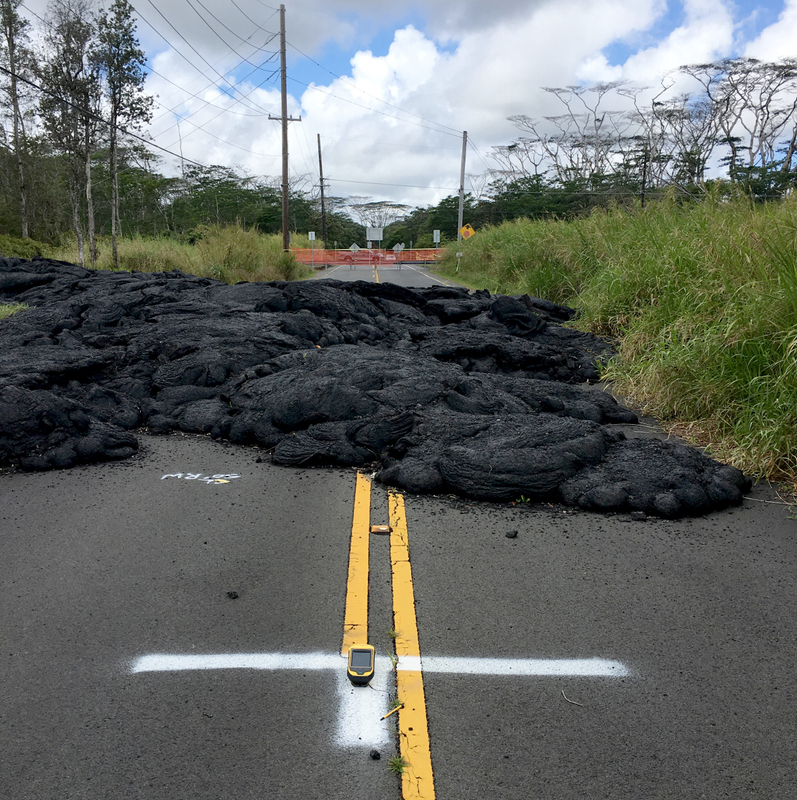 Work to reprocess the structure-from-motion DEM with the ground control data is ongoing, but it should result in HVO’s publication of a finalized lava thickness map – hopefully in the near future – for Kīlauea Volcano’s 2018 lower East Rift Zone eruption.